Old map by MATHIÉRE - Grande baie de salle a manger Louis XVI. Title: Grande baie de salle a manger Louis XVI. 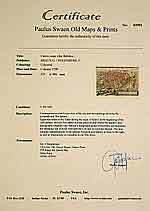 Size: 6.7 x 9.8 inches. Condition: Original hand coloured lithography. Very good condition. Wide margins. 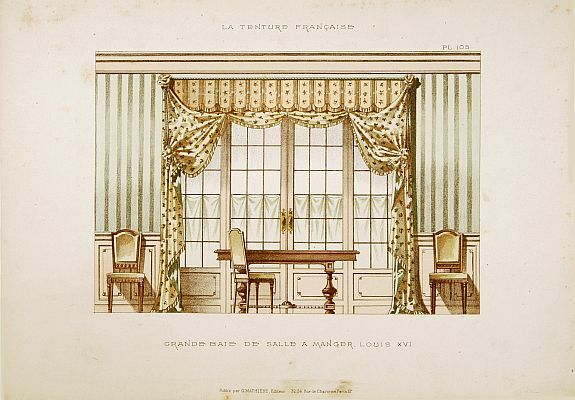 Very decorative and colourful lithography of an elegant French interior. From La Tenture Française, published by G.MathiÞre, 32/34 Rue de Charonne, Paris.